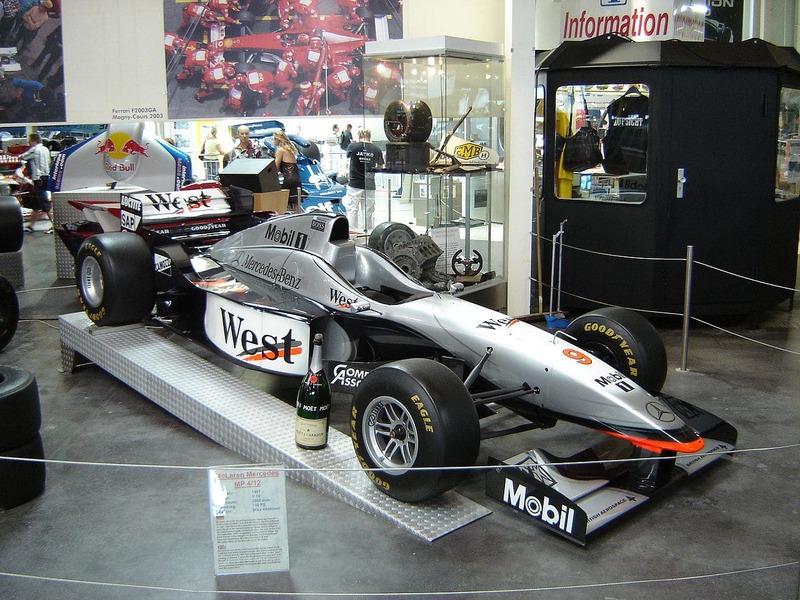 Formula 1 is an exciting sport to watch, and the racers and manufacturers have had some fun with the car designs. With creative liberties being given to the men responsible for the cars, it’s always fun to see what each team comes up with for their personalized or unique design. Formula 1 is a beautiful sport. You may not see it as F1 cars are whipping by at 250+ kpm, but those things are living mechanical sculptures that can be admired once they’re at a standstill. It’s functional art where aerodynamic lines mixed with smooth curves come together to let people travel faster than they probably should. Every minor detail has a purpose and nothing is added on accident. Vibrant color schemes and well-rounded curves help create an aesthetic that’s visually appealing and helps the vehicle stand out among its competitors. As the Montreal Grand Prix approaches (do you have your F1 tickets yet? ), let’s take a moment to appreciate these functional works of art! Roland Ratzenberger (AUT), MTV Simtek Ford S941.. Brazilian Grand Prix, 27/03/1994, Interlagos, Brazil. This first entry on the list is both inspiring and tragic at the same time. 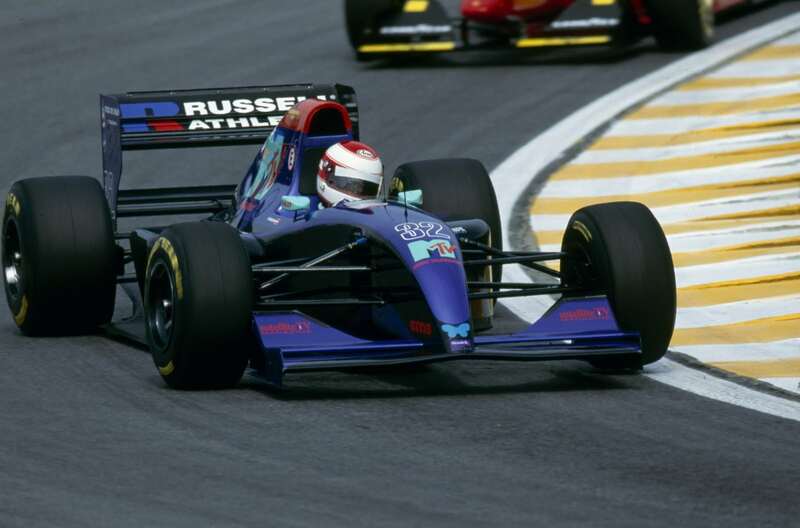 Simtek S941 is probably best remembered for its tragic crash at the San Marino Grand Prix which resulted in the death of Roland Ratzenberger. While it didn’t have a great history, it’s hard to argue with the beauty of this vehicle. The purple scheme and giant MTV logo happily coexist with the smooth, curvy lines of the chassis. Purple was a rare color back then, which made it all the more unique. This car calls back to a golden age of F1 cars. From 1954 to 1960, the Maserati 250F was a sight to behold on the raceway. Not only that, but the fact that many still remain today in the private collections of individuals like Sterling Moss is a testament to the longevity and build quality of the machine. A deep rossa corsa red highlights white lettering. The wheels sit gracefully parallel with the chassis. This car was clean and fast, nothing more or less, while still remaining classy and elegant. 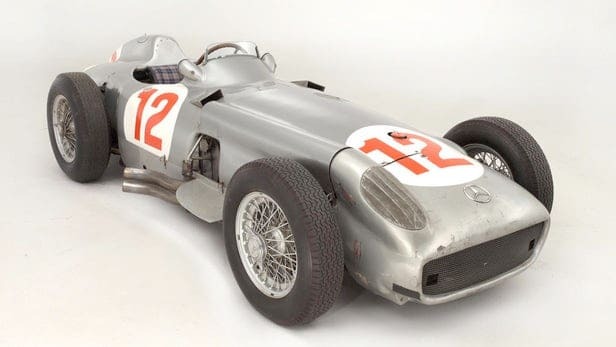 The Mercedes W196 was known as a silver arrow in 1954. Individuals like Sterling Moss and Juan Manuel Fangio took the wheel of this car and drove it in style. It isn’t difficult to see why this car got its nickname. A straight silver tube that screamed to go forward situated between four massive wheels. Unfortunately, this cars dominating influence over F1 would come to a halt in 1955 after the Le Mans disaster which would take Mercedes out of the racing business for more than 30 years. 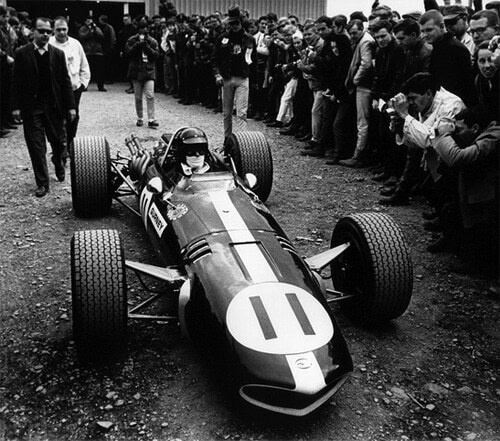 The 60s was a decade of innovation and beauty in the F1 world. No other F1 cars stand out more than the Eagle MK1 T1G. From 1966 to 1969, this deep blue bullet was popular after its race winning introduction. This was a car that delivered in both beauty and speed. Even though it was unreliable and difficult to maintain, when it was working fans were delighted. This car’s history was short but memorable. Unlike the RE20, the 1988 McLaren MP4 was all about beauty and aerodynamics. Not only that, but those aerodynamics paid off. During the 1988 racing season, the car one 15 out of the 16 races. The car featured a low line design first introduced by designer Gordon Murray, which quickly became a staple of McLaren cars. It was a wonder that the car was the thing at all, however, given the first one was finished only a few hours before its launch. The design of the car is a great example of how form and function can meet. The result of many hours of wind tunnel testing, its streamline profile highlights the basics of Newtonian physics. This car looks like a missile on steroids. Its front narrows down to what seems like an infinitely small single point until flourishing outwards. 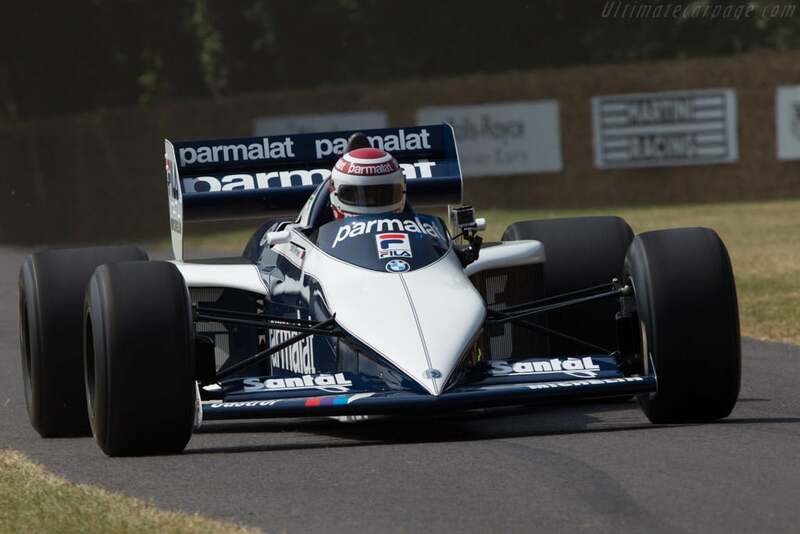 The Brabham BMW BT52 had one of the best color schemes to match its graceful exterior. Many race fans in 1983 grew to recognize its navy white livery as it won 4 of the 15 Grand Prix that year. The chassis design was considered rather radical for the time, while its construction remained old-school. Conventional sheet aluminum over a carbon fiber top instead of a pure carbon fiber frame. 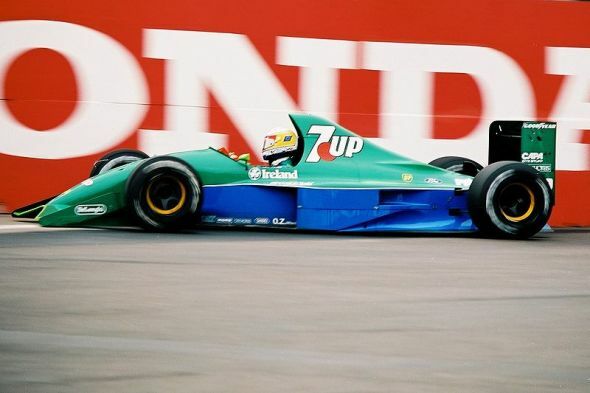 On first glance, you might be taken aback by the blue and green combo the Jordan 191 raced with. That, in combination with its boxy spoiler, might have you questioning why a car like this is on this list. If so, take a look beyond the paint scheme at the aerodynamic lines of the chassis. The 191 gave a new meaning to the term “graceful” when it came to designing the front of the chassis. A curved nose blends effortlessly beyond the front wheels, almost as if it was going to dive straight into the asphalt. Since the 90s, this car has gone down as being one of the most beautiful ever created both on the outside and in. The Alfa Romeo 158 dates back to the very start of the F1 World Championship. Back in 1950, this car was the instrument of Giuseppe Farina and Juan Manwell Fangio. At this time, the car was a bit of a relic. First introduced back in 1938, the car was over 13 years old by the time Fangio earned the first of his five titles in 1951. Despite this, the design was efficient enough to run with the big boys of the day, in part due to a massive supercharger upgrade. It’s important to take a little time to appreciate the design behind these F1 cars. Even though they’re designed to go fast, to cut efficiently through the air, they also have a lot to offer from the beauty they display just by existing. Whether it’s the old school silver bullets or the ground hugging, arrow tipped chassis of the modern era, these F1 cars are all worthy of their design titles. In some ways, these designs are unmatched even today. The Montréal Grand Prix is right around the corner, check out the hotel + ticket packages!